The Incredible Onion and Seeds Loaf is a transcendental loaf that moves your soul to the spiritual plane. The Incredible Onion and Seeds Loaf was awarded Runner-Up in the 'New Local Product of the Year' Category at the Carlsberg UK Northamptonshire Food and Drink Awards 2014/15. It is high in Fibre (11.9%) and Low in Saturated Fat (0.97%). Ingredients: Water, gram flour, white and brown rice flour, potato starch, tapioca starch, golden linseed, cold pressed rapeseed oil, stabiliser: xanthan gum, raising agent: yeast, sunflower seed (2%), pumpkin seed (1%), onion (1%), psyllium husks, unrefined sugar and sea salt. 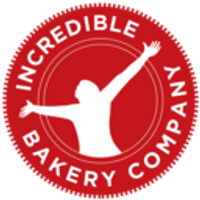 All Incredible Bakery Company products are Gluten Free, Dairy Free, Egg Free, Soya Free & Vegan. Allergen Information: All products are gluten free, dairy free, egg free and soya free and vegan. Provenance: Craft bread made in the Incredible Bakery in Warkton, Northamptonshire that has no contact with any of the 14 common food allergens defined by EC Regulations. This is my favourite loaf - even the smell is lovely! Such a great loaf! Smells amazing, lovely flavour & texture. Really impressed & will definitely be ordering this again! Fabulous to have toasted with cheese or soup. Makes a great Lunch/Supper. This bread is lovely and smells gorgeous whilst toasting. A wonderful, moist loaf with a deliciously tempting aroma. Will purchase regularly.